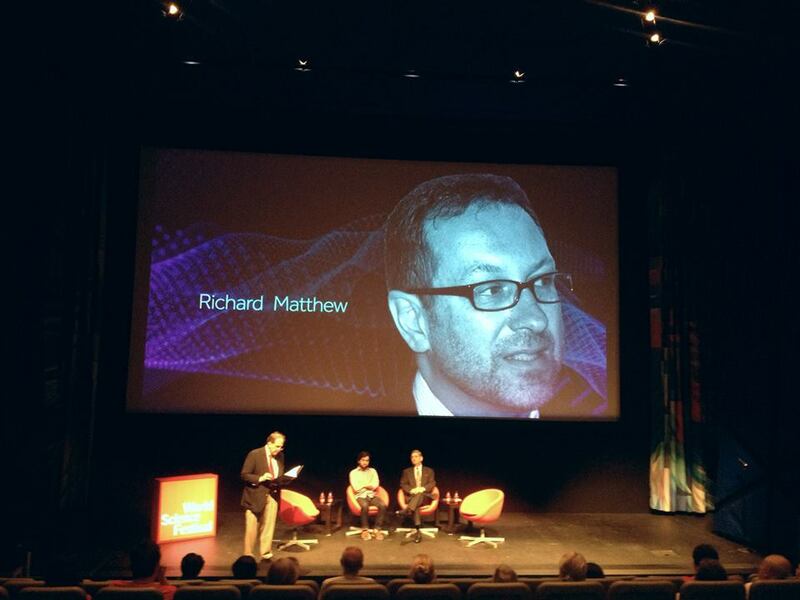 During this year’s shift from May to June, Dr. Richard Matthew attended the World Science Festival in New York, New York. While present, the CUSA Director participated in various festival events, including a feature film screening and discussion entitled, “Valley of Saints: Science in Troubled Waters,” on May 29th at the Museum of the Moving Image. Dr. Matthew discussed the film’s message as a Specialist in Environment, Conflict, and Peacebuilding, along with highly relevant knowledge of how its message was presented. Being a hot topic of his center’s Transformational Media Lab, studies from the lab have shown that documentary and other issue-based films are most effective when they utilize the film’s storytelling narrative and other aesthetics to pull-in, emotionally invest, and psychologically engage the viewer. Similarly, the film actively makes use of a multilayered relationship between the characters and the setting itself, which attaches audiences through the familiar feelings they may feel in their own lives. Possibly with further academic collaboration, Syeed’s “Valley of Saints” could be the next proven example of how to direct an film with a cause for action. This event was supported by the Alfred P. Sloan Foundation as part of its Public Understanding of Science and Technology initiative, and was presented in collaboration with the Museum of the Moving Image.